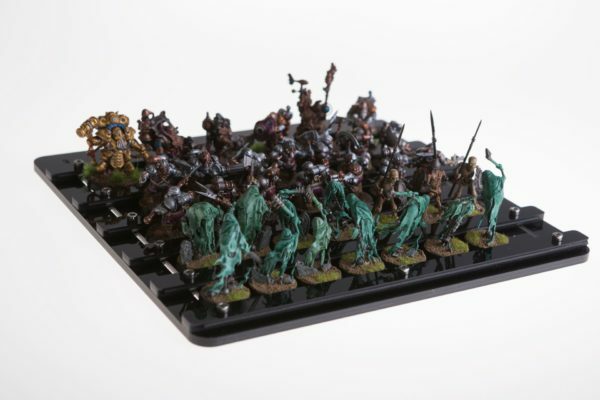 View cart “Overlord Army Set” has been added to your cart. 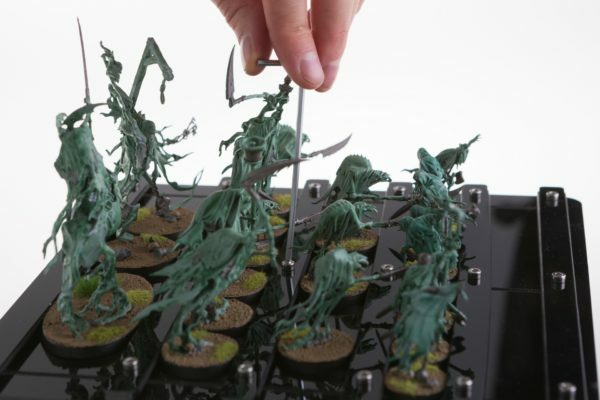 Looking for a product that will get your massive armies of miniatures to games? Look no further. The Overlord Legion Set contains everything you need to get any massive force of miniature troops to the battlefield. By massive, I mean swarms of infantry, armies of bigger models (cavalry, heavy infantry), strike forces of vehicles or monsters and at least one large centerpiece. By any, I mean that the set will serve you no matter what game you play or how crazy the miniatures are. 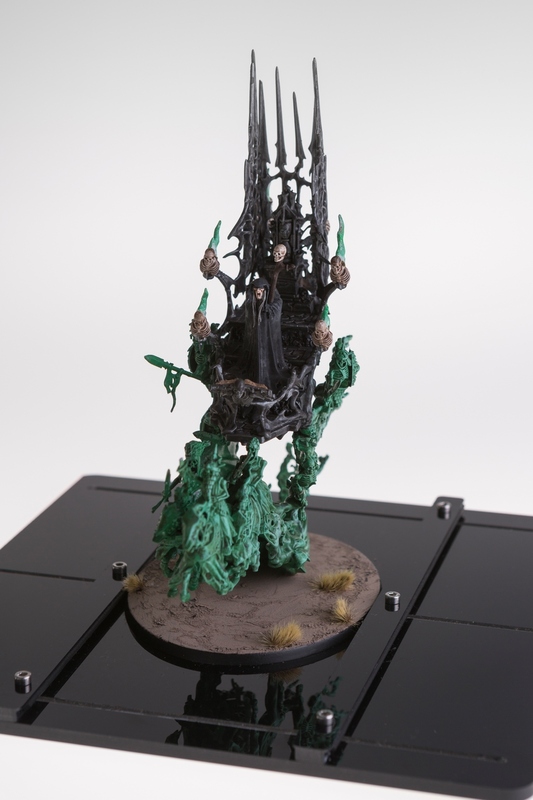 Own multiple armies and game systems? That’s great – you’ll be able to carry each and every one of them using this single set. Just how much stuff will you be able to fit inside your bag? 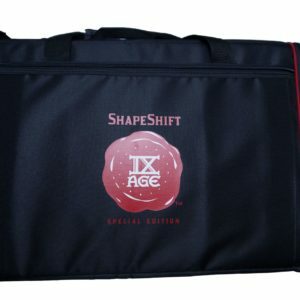 All of these will fit in various combinations to give you supreme flexibility in carrying whatever army you want to game night. 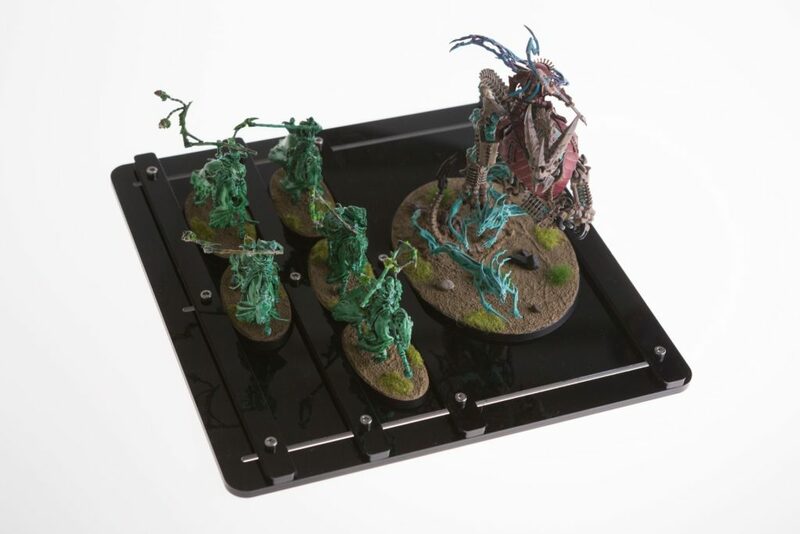 And if you have some vehicles or anything else that didn’t come on a base, you can make two of your trays magnet-friendly – just clamp on one or two steel plates to it and you can carry magnetized troops as well. You’ll be able to use this one loadout to play 40K one night and Warmachine the next, then take it to a 9th Age or Oldhammer tournament. 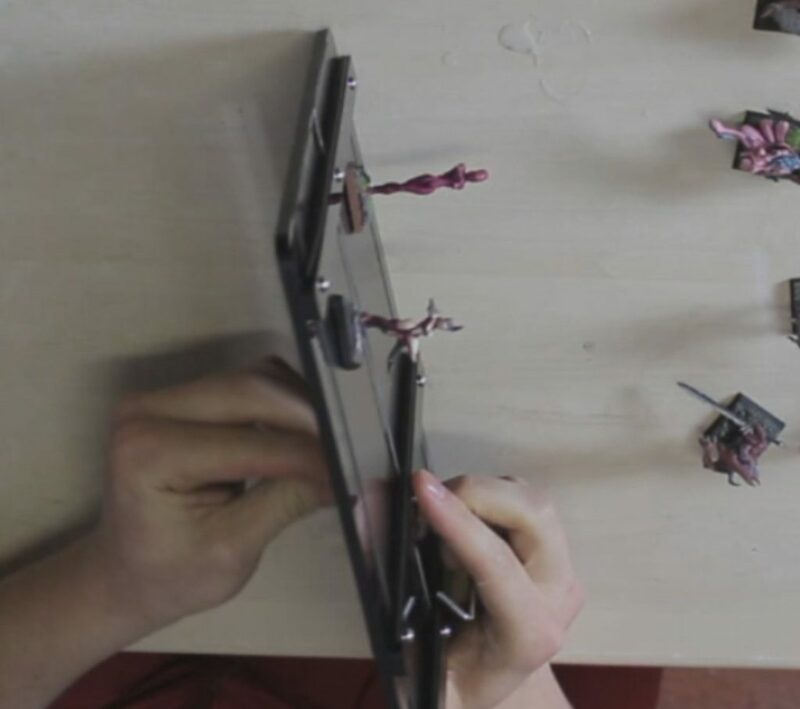 Our patent-pending ShapeShift system is a user-adjustable mechanism for holding miniatures. Clamp the base of your model between two freely-adjustable bars and it will stay in place even if you hold it upside down. 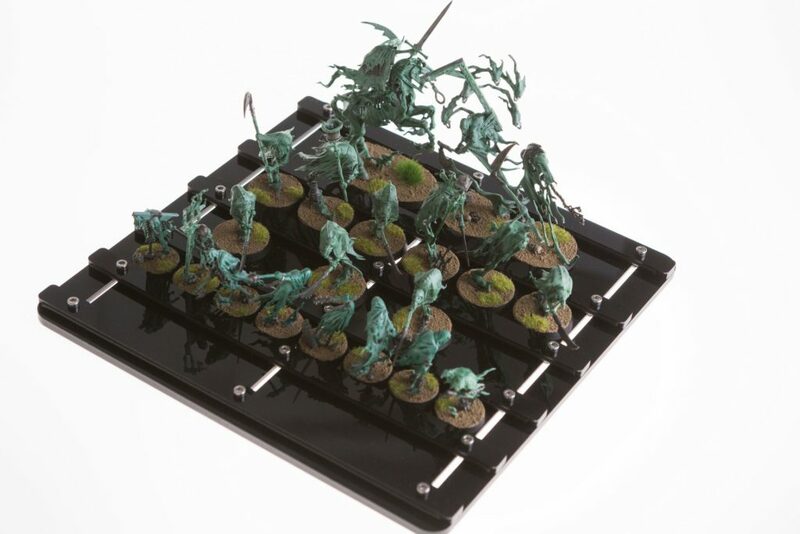 No converstion work required, works with all types of bases: round, square, rectangular, hexangonal, standard, lipped, resin, MDF, magnetized movement trays, etc. It even works with some models that don’t have bases, though we recommend using our Steel Plate attachments (included in the set) for those. Those two female demons have rare-earth magnets glued to their bases. 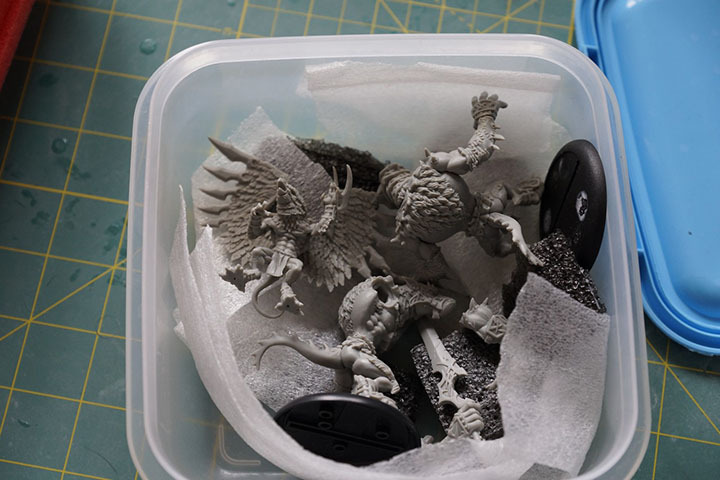 As you can see, the addition of the steel plates still allows you to use a part of your tray for carrying non-magnetized models using the ShapeShift sliders. 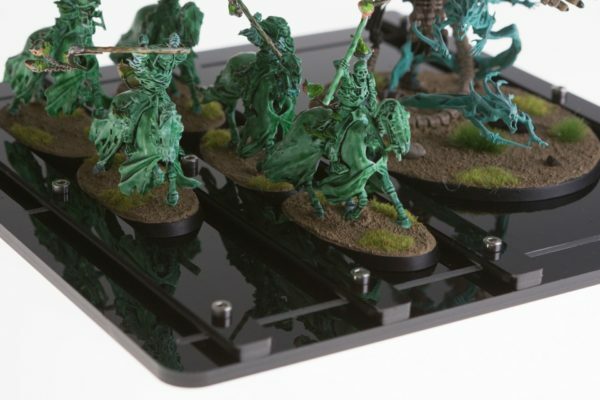 You could, for example, have half the tray be used for a magnetized tank, and the remainder for infantry joes on 20mm bases. Each Tray is a 23x23cm square, the Sliders are 12mm wide and run the full width of the Tray. You must attach the Sliders to the Tray using the provided nuts, bolts and key. 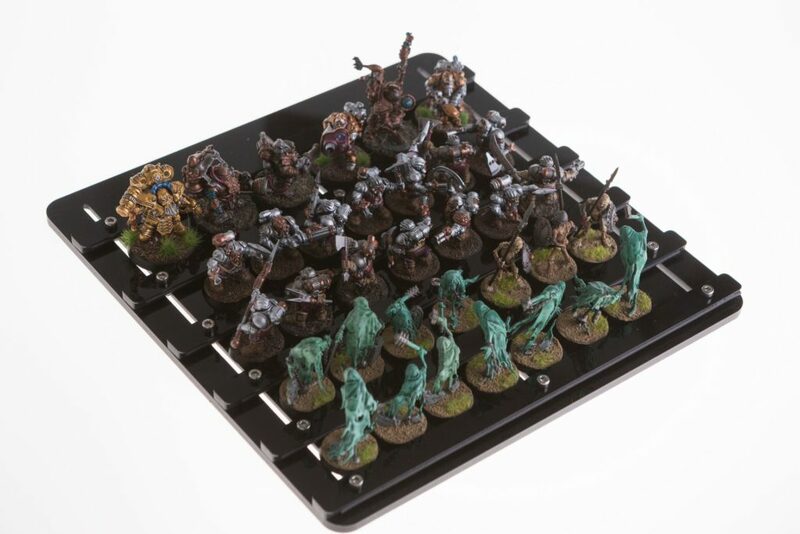 In the pictures above, you can see that the number of Sliders on each Tray will depend on the size of the models you want to carry. 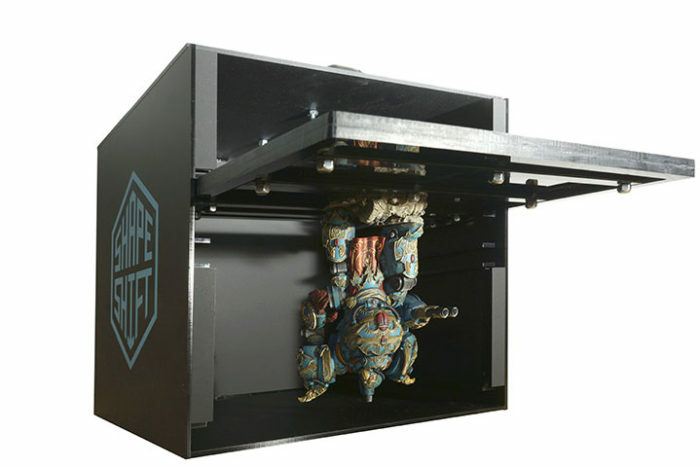 An infantry loadout will use up all 6 sliders, while a massive centerpiece model that takes up an entire tray by itself will require only 2 sliders. 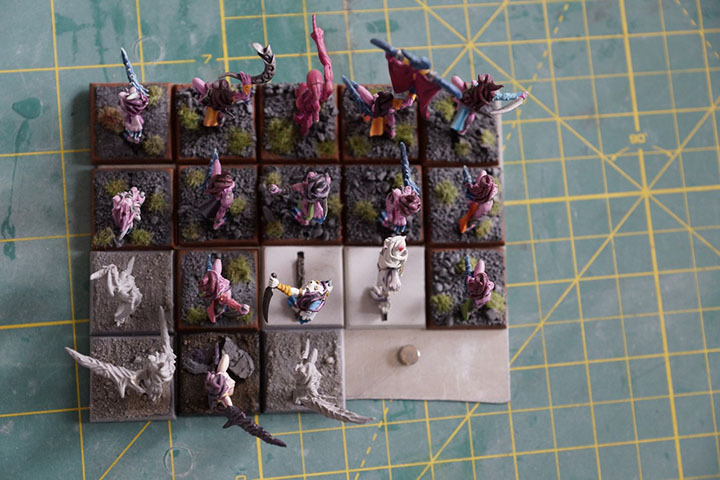 It’s entirely possible to form rows of miniatures that have bases of a different size if you need to (e.g. 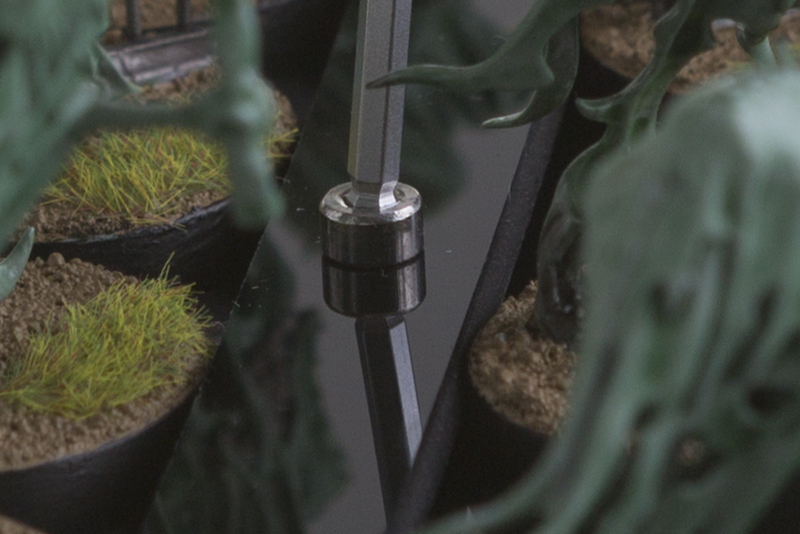 50mm on one end and 25mm on the other, between 2 sliders). 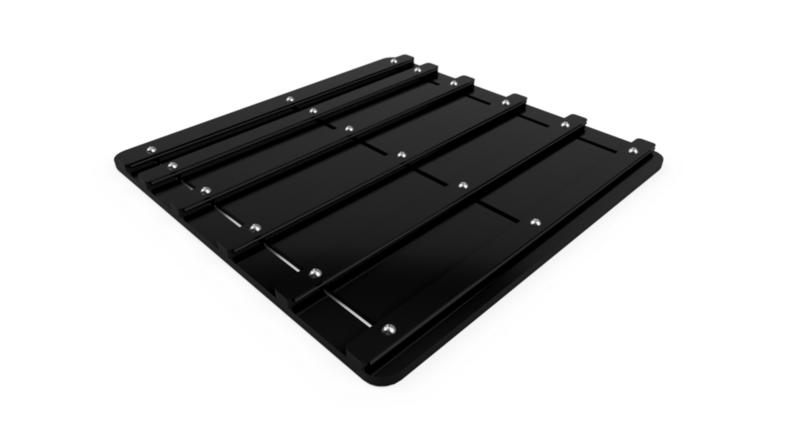 All fasteners are steel, while the Trays and Sliders are machined from black acrylic. It’s possible to compose your own set by purchasing individually selected items in our store, in which case you can also buy white and red Evo Trays. 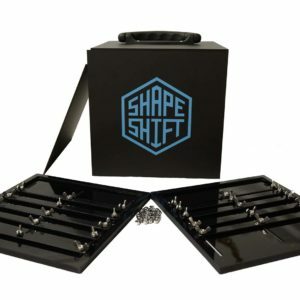 This set includes 6 ShapeShift Evo trays in black. The Steel Plate attachments are 8x23cm rectangles made of 0,5mm thick steel sheet, painted black on one side. This set includes 4 Steel Plates. A detachable, dividing wall prevents the trays from the two compartments from bumping into each other during transport. 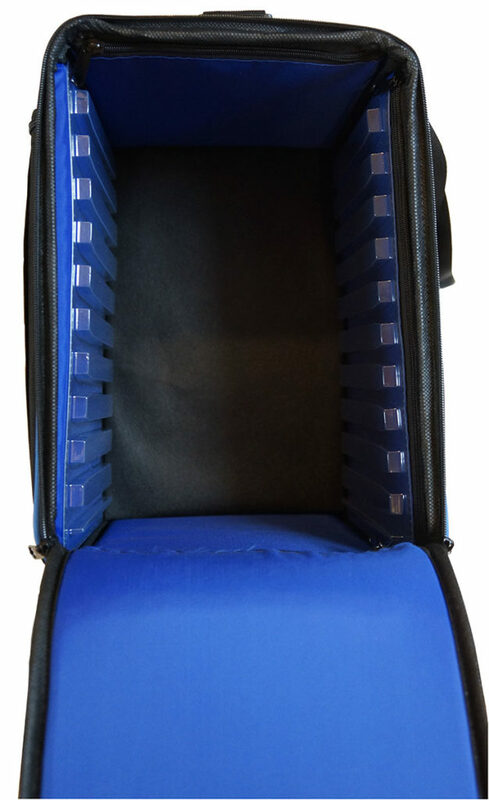 The bag is equipped with an adjustable shoulder strap, a handle, and a huge front pocket for all your gaming accessories. The reinforcements in the walls are made of chambered polycarbonate to provide maximum stiffness at minimal weight. A layer of foam in the walls protects the contents of the bag from outside shocks. Before you ask, you can cram a model that’s 30cm tall in that bag. 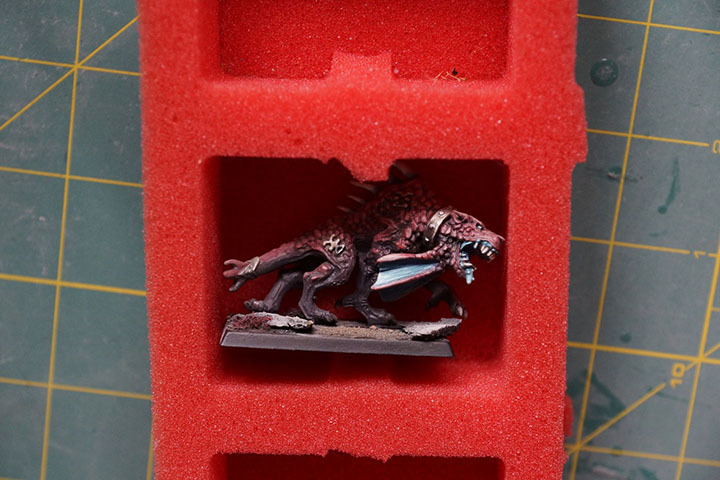 And if for some extreme wargaming reason you need to fit something that’s larger than a ShapeShift tray in the bag, the dividing wall can be removed to combine the two compartments into one huge storage space. Note that the slots are 1cm deep – you need to leave 1cm of clearance on both ends of your tray. 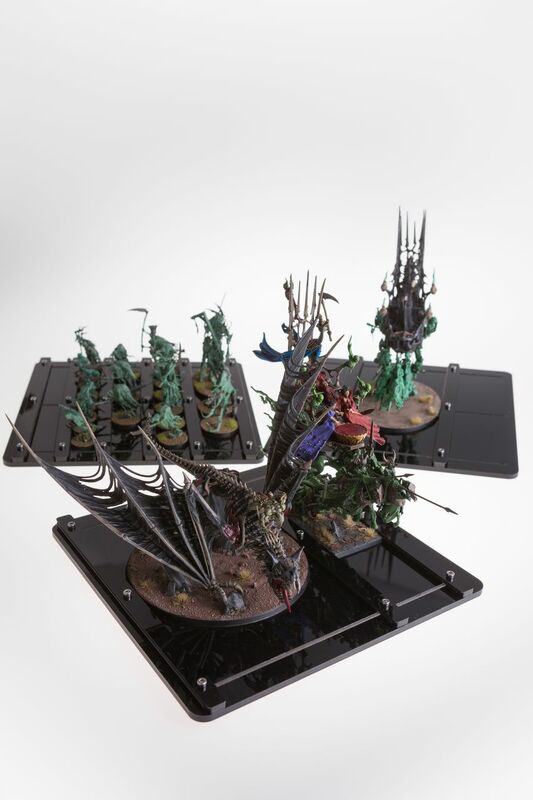 The Overlord is a worthy carrier for the ShapeShift system, and together with the Evo trays it gives you the most flexible miniature carrying solution on the market. For the price, the functionality of this set is unmatched. While I do my best to optimize production costs – any business does or they go broke – absolutely no expense has been spared to make the products in this set. The materials are all high quality, the processes combine accurate CNC machining of digitally-crafted designs with manual labor. It’s the best that you can do at this scale of production, delivered at prices that are more than fair. You won’t find these products at the local game store or your favorite online supplier, and it’s not because I wouldn’t like to sell through outlets that you know and love. No, it’s because at this scale of production it’s impossible to provide vendors with the margins they need to carry these products. To put it simply, my prices aren’t bloated twice (or more) over what it costs to manufacture the goods, pay taxes and turn a reasonable profit. All the value goes to you. 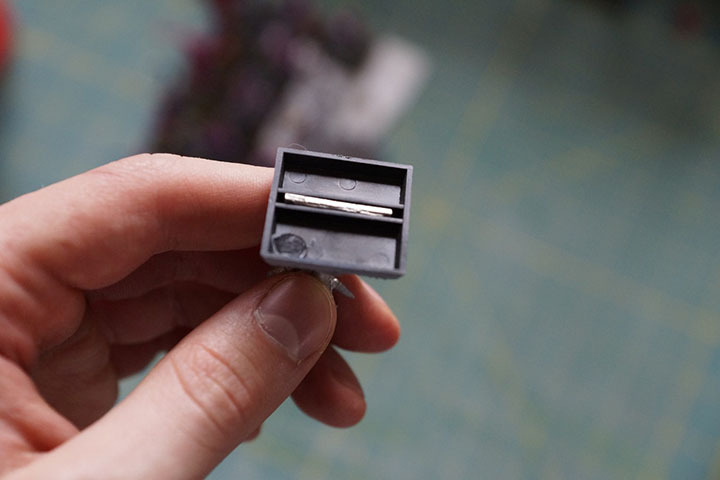 You receive a plug-and-play product, but it’s anything but simple on the manufacturing end. The custom solutions and combination of technologies – it’s not just a cookie-cutter deal I got from a dealer in China. All the items are made in Poland, and everything was designed by me and my contractor responsible for sewing the bags. It’s a small miracle that he even makes these complicated bags on such a small scale. All the trays are made on my trusty German CNC mill and hand glued in my workshop. I invested all this time and effort into this set because I sincerely believe it’s the best miniature carrying solution for wargamers and painters on the market. Just compare the above image with these snapshots of what carrying models looks like for most of us. 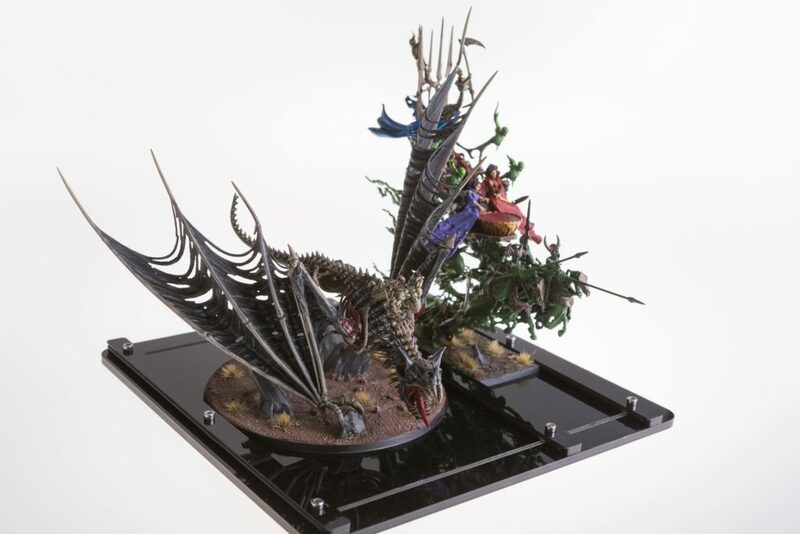 Skirmishes, large battles, campaigns, tournaments, demos, starter sets, painting competitions – you name it, this one purchase will have you set for life. Any extras you might buy later will just be for convenience. For this set only, the Steel Plates are FREE. You pay the price of the bag and trays and get a bucketload of extra functionality by saving 7,90 € on a purchase you might normally miss. It’s hard to wrap you head around a new product, understand what it offers and not miss out on some accessory you might need later. 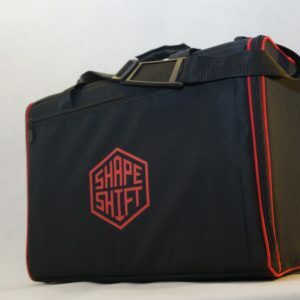 This set makes everything easy for you: get the full benefits of the ShapeShift system without having to think about all the options. I make sure you get everything you need with one purchase. 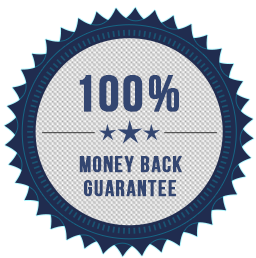 All purchases are risk free – you can return your set within two weeks and get a full refund. Disclaimer: All Trademarked names belong to their respective owners. Phobos Foundry claims no ownership of any trademarked names of games or products.